Driving in the fog can be dangerous. Sometimes fog lights or taillights don't give enough warning and collisions can occur. The Warning Signal Lamp helps when needed. 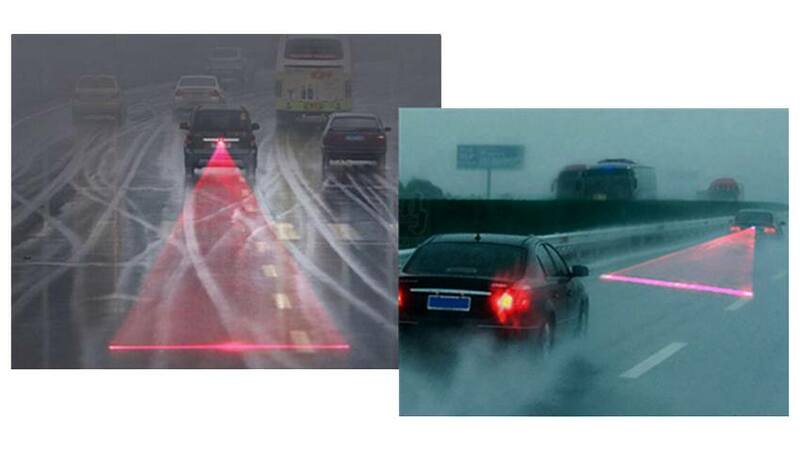 This laser light will allow vehicles behind you to see exactly where you are. The laser fog light in addition to the Fog lamp and a brake light will give you the perfect security you need, You no longer have to worry about someone crashing into the back of your car or truck on foggy or rainy days. Simply install the laser safety fog light system on the back of your vehicle or your motorcycle and point it downwards towards the road. Then, you just connect the light to the power of the fog lights. This way, whenever you turn on your fog lights this will light up and let anyone behind you know that your are there.